It has been over seven years since the day I ended my sugar addiction. Perhaps it sounds much more serious than it was. But for me, it was something I couldn’t control. No matter what, I always had to have my sugar fix. Whether it was in my morning coffee, on top of my oatmeal or a part of my post-dinner ritual, sugar played a significant role in my life. I realized it was a problem when I started to gain weight in my early 30s. Since I worked out every day, I couldn’t understand why I suddenly had an extra layer of body fat in my midsection. For the most part, I was a healthy eater — or so I thought. Until I met Maggie, the fitness model and personal trainer who changed my life. Over the years, I watched her grace the cover of Oxygen Magazine. So when I found out that she was a trainer based in Toronto, I knew I needed to connect with her. I reached out and told her I wanted to lose some weight and prepare for a fitness competition — a lofty goal I had set for my self in hopes of finding my abs some day. Well it worked! After two weeks of following a restrictive diet that excluded any form of carbohydrates (other than some vegetables), I dropped the sugar cravings, excess belly fat and nearly eight pounds. In fact, I no longer recognized the woman in the mirror. I was down several pant sizes and went from a medium to a small/extra small in almost everything. My clothing was literally falling off of me. The following summer (just 9 months later), I stepped on stage in a fitness competition displaying abs for the first time in my life. This was the moment I realized anything and everything is possible when you set your mind to it. I proved to myself that I wasn’t bound by poor genetics. I was simply stuck in a vicious cycle of unhealthy habits and a toxic mindset. So much has changed since that moment. I’ve stepped on stage over 15 times and obtained my pro card along the way. With that said, I’ve also continued to battle with the scale and occasional sugar cravings. The difference now is that I think about the consequences of consuming too much sugar. Cravings, bloating, breakouts and weight gain are just a few of the symptoms I experience. But the worst part of all is the vicious cycle that I seem to get caught in. Once I start eating sugar, I find it very difficult to stop. But I’ve found some comfort in knowing that I’m not alone in my addiction. In fact, it has inspired me to help other women who feel the same way. Since I began coaching a few years ago, I’ve come to realize there are a number of reasons why we consume sugar. And if you want to know the truth, there’s a lot more going on than sheer hunger. At some point in my life, I became addicted to sugar and relied on it for the “feel good” aspect. For example, if I was having a bad day, felt bored or was tired, sugar gave me a boost — or at least temporarily. In fact, I’d always have a stash of candy — usually Swedish Berries or Red Licorice. And I continued to crave sweets until I finally decided to go cold turkey and cut them out of my diet completely. I believe this pattern stemmed from my childhood. Since my mother also loves sugar, sweets were not exactly forbidden in our household. Whenever we went shopping, I’d ask her to buy me a treat. Or I’d take my allowance money, hop on my bike and head to the corner store to buy penny candies. Candy was a such a big part of my childhood. Unfortunately, we didn’t know how bad it was at the time or that indulging would lead to an addiction. Although I rarely crave sugar or consume it today, I still allow myself to enjoy it on occasion. But for the most part, I avoid sugar because I know it will prevent me from achieving my health and fitness goals. With that said, I’ve also come to realize that if I really want something, I should probably just have it. It’s a normal part of life. When you deprive yourself too often, you are creating unhealthy relationships with food. So having it (on occasion) may actually help you stay on track. In the world of bodybuilding, we refer to this as a “cheat meal.” There are many different ways to go about it. But for me, I prefer to indulge once in awhile, on a special occasion. Although cheat meals have their place, they can also create unhealthy food obsessions. I can remember when I was given one meal per week to cheat. And I would think about it everyday leading up. Then when the day came I didn’t even know what I craved. So I started to see that these cheat days were perhaps more trouble than they were worth. Eventually I discovered the power of “clean cheats”. I realized if I ate foods that interfered with my goals, then I will would have goals in conflict. And this was not good either. So I learned to find foods that would satisfy my cravings without taking me too far off track, like brownies made from beans or pudding make from pure cocoa and avocado! Recently I discovered a healthy substitute for Swedish Berries — seriously! 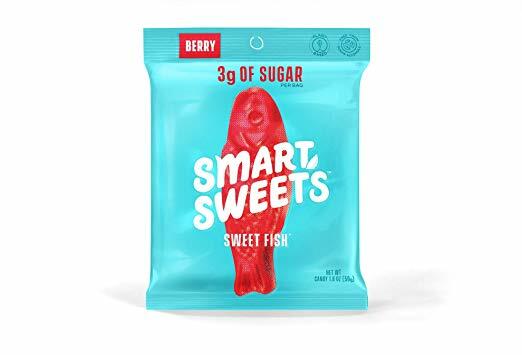 I discovered Smart Sweets in a health food store and now they are my go-to when I’m craving candy. They are amazing and taste exactly like those red Swedish Berries I used to be obsessed with. They are delicious with a gummy consistency and have just 3 g of sugar per pack. I’ve learned that once you eliminate sugar or unhealthy foods from your diet, your taste buds will change. Plus, you will start to view food as fuel instead of relying on it for comfort or happiness. Eat a variety of fresh, whole foods. Aim to incorporate plenty of colourful vegetables, fruits, lean proteins, healthy fats and a moderate amount of whole grains. When your body is nourished, you won’t crave unhealthy foods as often. Eat when you are hungry. This is something that has taken me a long time to learn. In the fitness competition world, we are taught to eat every three hours. However, there are many studies that suggest you can maintain your weight with six small meals or three larger meals. It’s all based on personal preference. If you find you eat too much in three meals, then switch to six. However, if you find six meals is too much work, then switch to three. It’s that simple! Just be mindful of what you are eating and keep a close eye on portion sizes. Find foods that energize you. We are all unique. Some of us need to avoid, dairy, gluten, wheat, sugar or alcohol to feel our best. Be in tune with your own body. It will tell you what to eat and what not to eat. For example, many people avoid gluten entirely, even though they are not gluten-intolerant. There are tests that can be done. But your body will typically tell you when there’s something wrong. Pay close attention to any bloating, digestion issues, energy levels, mood, weight gain and/or weight loss. Learn how to cook. Home cooked meals not only taste better, but they’re also much healthier for you. By learning how to cook, you will develop a healthier relationship with food. Plus you will enjoy and appreciate your meals so much more just knowing that you created them! Eat slowly and mindfully. It takes the body at least 20 minutes to signal to the brain that you are full. So turn off the T.V., shut down the computer or put away the newspaper. Be in tune with your body and put the fork down when you are satisfied, not stuffed! Think about why you are eating. Are you actually hungry? Maybe you are bored, tired, lonely or feeling emotional. Has eating become a late night ritual for you? If so, try to pre-occupy yourself. Read a book, take a walk, clean out a closet or call a friend. Chances are, the urge will go away. Another tip: have a glass of water. Sometimes we are actually thirsty when we think we are hungry. 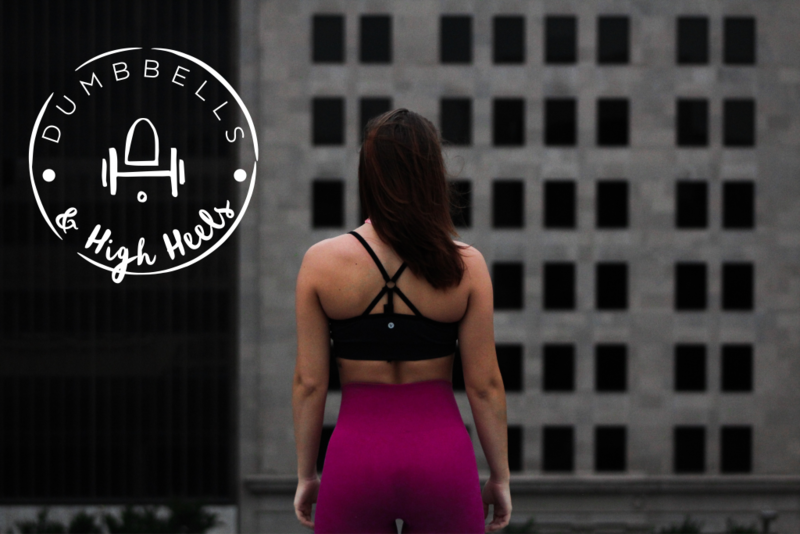 Laura Jackson is the editor and founder of Dumbbells & High Heels. She is a Toronto-based journalist, figure competitor, lifestyle coach and culinary nutrition expert. She created this magazine site as a way to educate, empower and inspire women. Sugar could be ruining your life. 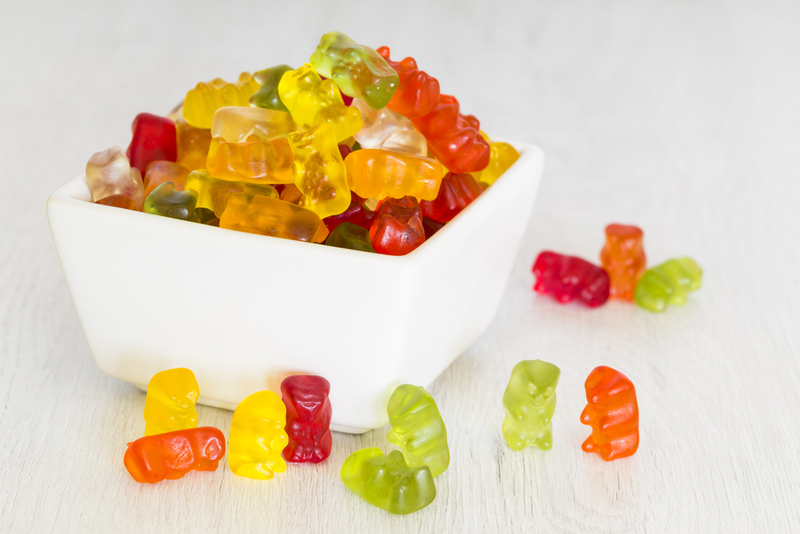 Take our quiz to find out if you need a sugar detox. Dumbbells & High Heels is an empowerment magazine for women. We strive to to educate and inspire our readers by providing reliable information on topics that impact their lives and influence their daily decision-making. Our goal is to create content that is interesting, impactful and thought-provoking.